Senior client service manager Dimity Pennisi at work in the new service centre. Dotted across Michael Linnan’s office wall in the Queensland Department of Housing and Public Works is a series of designs, plans and mock-ups. Mr Linnan, the department’s general manager of service delivery for housing, homessless and sport, says he keeps the sketches as a reminder of his team’s progress in creating a new service centre model, which has been steadily gaining local and national attention. Last week the centre won the customer focus category of the Queensland Government’s 2018 Premier’s Awards for Excellence while in May it was recognised in Australia’s Good Design Awards. It was the relocation of the department’s Fortitude Valley service centre that provided the opportunity to rethink how staff might better service customers, who are often among the most vulnerable in the community. “The department had gone out and done a lot of consultation regarding a new housing strategy for the next 10 years that had a raft of strategies, one of which was to be more customer centric,” Mr Linnan tells Government News. “When the service centre had to move we thought, here’s an opportunity to really live the housing strategy,” he adds. The department embarked on a process of engagement with staff, centre customers and various sector stakeholders to provide feedback on user’s needs and wishes, and help inform the design of a more contemporary approach. Feedback and ideas for the centre were garnered through workshops. It engaged service design firm Meld Studios to lead the co-design process. 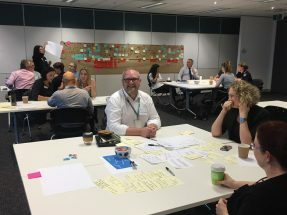 They brought together 50 housing clients, 10 community organisations including police and homeless support services and 20 centre staff for a series of workshops to collaboratively design the new service centre. Meld Studios says it tested many of the workshop’s proposals in the existing centre so that staff and clients could experience and judge service and layout ideas in context. “We came up with a model that was quite evolutionary and really opened up the place to a more inviting feel,” says Mr Linnan. “I was reminded of the old saying: you don’t get a second chance to make a first impression. We did a lot of thinking about our customer’s first impressions of us when those doors open. “Our clients are some of the most disadvantaged in the state. They may be escaping domestic violence, are homeless or at risk of being evicted – it was a leap of faith to think we could create an environment where the customer felt at ease, where we could engage more and find out what’s impacting and impeding their life,” Mr Linnan said. A senior and experienced concierge greets customers in a front-of-house area and takes some initial information to stream people based on their need, rather than all customers waiting in one queue. “It’s about personalising the service, changing the approach from a screening in or out, simply determining if someone is eligible for this or that, to looking at the person’s broader needs, what can be addressed immediately and what’s longer term,” said Mr Linnan. The new service centre is a prototype for future, the department says. The focus is on treating people with respect, working to figure out what can be done immediately and creating an environment where customers feel safe and valued, he added. 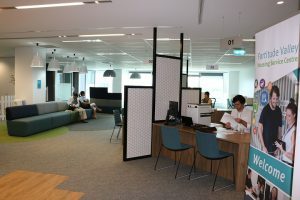 The new centre layout includes computer and internet facilities where people can find information they need, get Centrelink data or print out forms. Mr Linnan says “nothing was done by chance” and much work went into every detail – from the type of soft furnishings in the centre to the colour of the carpets. The new design also had to balance the creation of a more open environment with the department’s duty of care to staff and ensuring a safe working environment. “We often deal with challenging clients and so we take safety very seriously. We had a serious issue just recently where the police had to be called, but the system worked, the security lights went off, people know their role; it was designed with exit points for staff, they did what they had to do. So it’s been tested in a live situation and it worked,” Mr Linnan says. 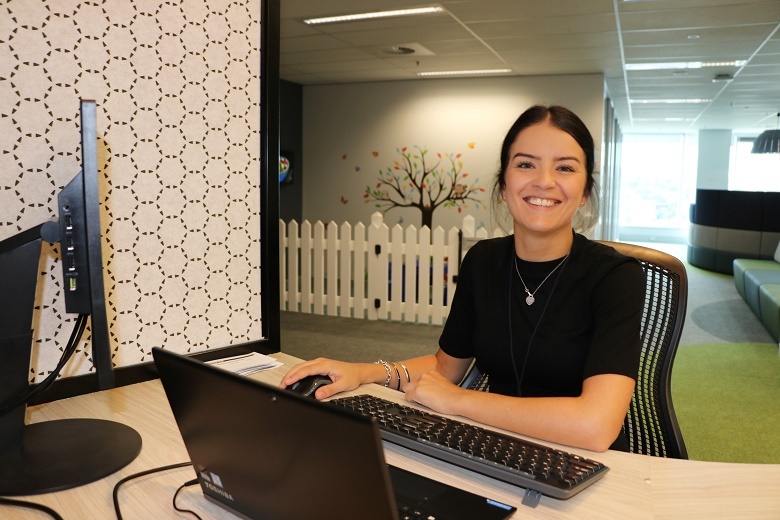 Based on positive feedback from staff and clients, the new centre model has effectively become a prototype for similar centres across Queensland. “We have this model now and there will be efficiencies in how we can roll the next ones out,” he says.